Well…who doesn’t know about Harry Potter, right? Seriously though, did you know that Monday June 26th 2017 will mark the 20th anniversary of the publication of Harry Potter and the Philosopher’s Stone? That’s right, the series about the boy wizard is turning 20! The book was author JK Rowling’s debut novel and was far from an overnight success. Indeed, Rowling began writing the novel in 1990 while riding on a train. According to an interview the author gave in 2009, the idea just hit her of a boy riding a train to wizard school. The death of her mother influenced much of the writing process. The book was not well received by publishers and agents who felt that it was too long for a children’s book. That is, until Barry Cunningham of Bloomsbury recommended the publishers accept the book based on the recommendation of his eight-year-old daughter. With seven books, eight films, a stage play and now a spin-off series of films, the rest, as they say, is history. The library will be holding events from 10:00-1:00 this Saturday to celebrate the occasion so why not come along or maybe re-read the books, play or films. BTW – Did you know that the books are actually set in the early-to-mid 1990s? You can work this out from information provided by Gryffindor ghost Nearly Headless Nick. In the Harry Potter and the Chamber of Secrets, he celebrates his 500th ‘Death Day’ which occurred on October 31st, 1492, meaning that book takes place during 1992-1993! 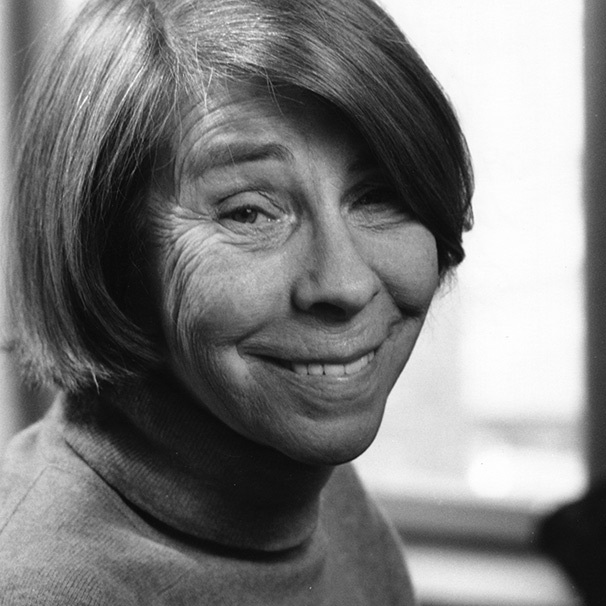 Today is the birthday of Finnish author, artist and cartoonist Tove Marika Jansson. Tove was born in Helsinki on 9 August 1914 and died on 27 June 2001 at the age of 86. Tove Jansson was a member of the Swedish speaking minority in Finland. She was raised by bohemian artist parents, who encouraged a love of nature and an appreciation of diversity in their children. Tove studied art in Helsinki, Stockholm and Paris. Her siblings also grew up to become artists. Tove Janson is the most widely read Finnish author outside her own country. She received wide recognition for her short stories, novels, picture books, plays and a comic strip. 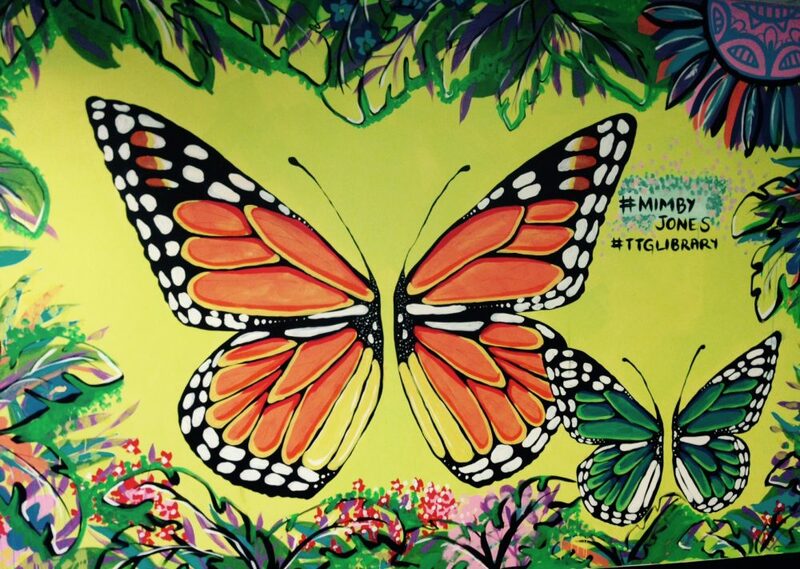 Tove also exhibited paintings and graphic art and was commissioned to create public art works. Although Tove wrote for both children and adults, she is best known and loved for her Moomin stories. In 1945 Söderström & Co published Tove’s first Moomin story The Moomins and the Great Flood in Swedish. 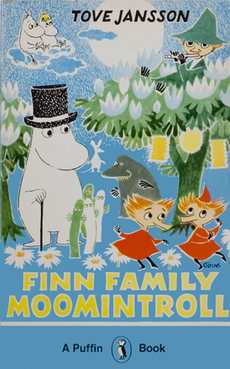 This was followed by Comet In Moominland in 1946 and Finn Family Moomintroll or The Magician’s Hat in 1948. Tove continued writing about the adventures of the Moomin family throughout the 1950s and 1960s. In 1966 the International Board on Books for Young People awarded Tove the Hans Christian Andersen award, which is the highest accolade that can be given to a writer or illustrator of children’s books. Following the translation into English of her books Tove was approached by a British publisher to transform her Moomin stories in a comic strip format. In 1954, the famous London newspaper The Evening News started to publish it. In order to allow his sister more time for her visual art projects, Tove’s brother Lars Jansson took over drawing the comic strip from 1960. It ran up until 1974. In 1970, Tove ceased writing Moomin stories with the publication of her ninth and last Moomin book Moominvalley in November. She later published a somewhat eerie children’s picture book called The Dangerous Journey in 1977, which is about different characters but takes place in the world of Moominvalley. Tove went on to write an acclaimed novel for adults, which focuses on the relationship between a young girl and her grandmother who are living on an island. The Summer Book (1972) is her best known work of fiction which has been translated into English. Throughout her life, Tove produced six novels and five books of short stories for an adult audience. Tove Jansson’s Moomin stories have been adapted for film, the stage, television series, an opera and a theme park. Her books have been translated into several languages. A friend asked me to post about Tove Jansson, so I decided to explore the world of the Moomins, to discover why both children and adults are still captivated by them. So you may ask, what exactly is a Moomin? Are they really trolls? Fear not, the Moomins are not your average ugly, stupid trolls lurking in the mountains or under bridges, lying in wait to catch their next meal. 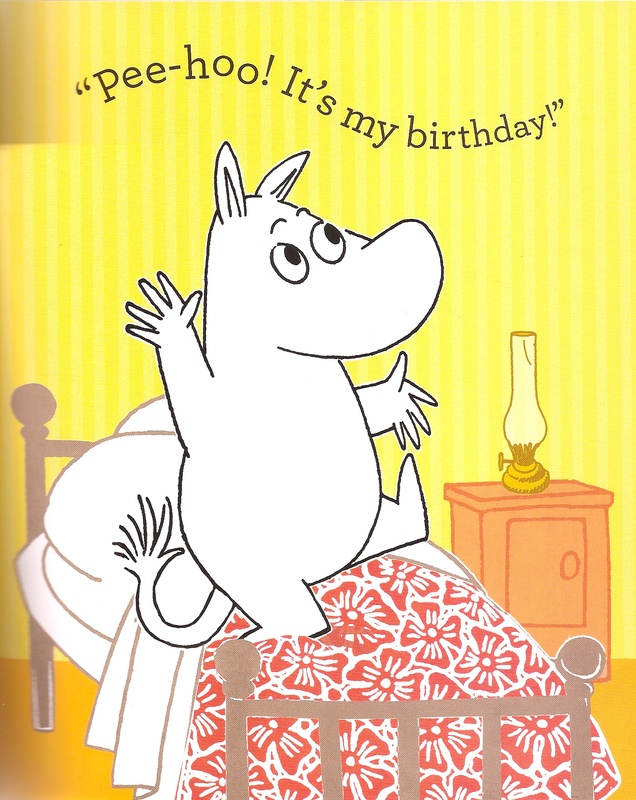 The Moomins are cute, kindly fairytale characters who are plump and white and resemble hippopotamuses! They are intelligent, literate and make their home in a tower in Mooninvalley, living alongside a host of eccentric characters. Tove’s stories are full of lighthearted humour. Her simple and colourful ‘retro’ style illustrations will appeal to children. She cleverly parodies many different concepts in her Moomin stories, from becoming famous, vanity, the theatre, the legal profession to buying unnecessary modern kitchen gadgets. 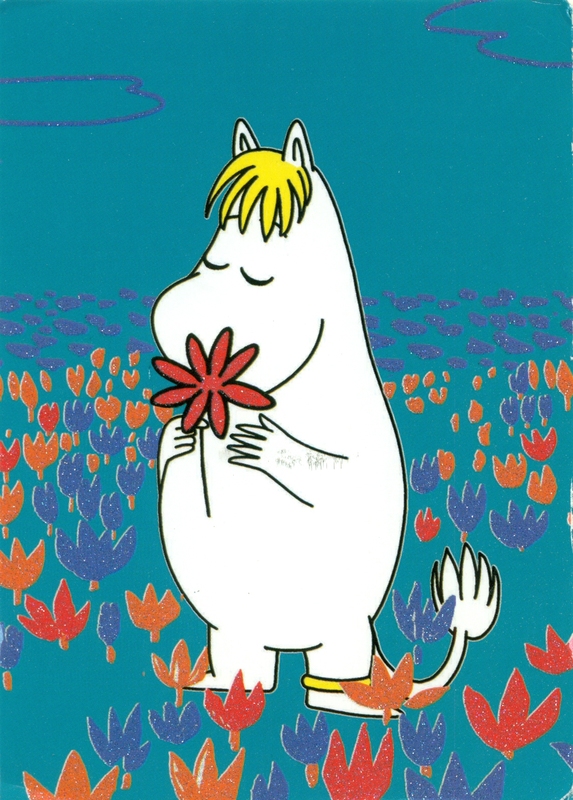 Young Moomin or Moomintroll, as he is known in the original Swedish version, is a sweet-natured, brave and somewhat naïve character, making his way in the world. 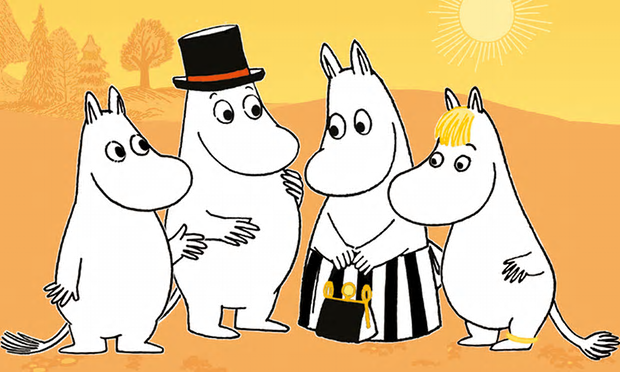 Moomin lives with his close knit family, his mother Moominmamma, father Moominpappa and girlfriend Snorkmaiden. The Moomin family is always ready to embrace new experiences, meet new people and welcome them into their home. Moonminpappa enjoys reading and philosophising. Moominpappa’s romantic view of himself leads to all sorts of grand plans such as moving his family to a lighthouse so he can write a grand novel. The more practical Moominmamma takes pride in her home and loves her garden. She prefers to live simply but comfortably. Moominmamma is skilled at making others know that they may not have made the best decisions, without making her family feel bad about themselves. Her serenity helps us to realise that everything will eventually turn out okay. However, Moominmamma is not immune from falling into the trap of keeping up appearances and competing with her neighbour Mrs Fillyjonk! Pretty Snorkmaiden is a dreamer. She and Moomin are devoted to each other. 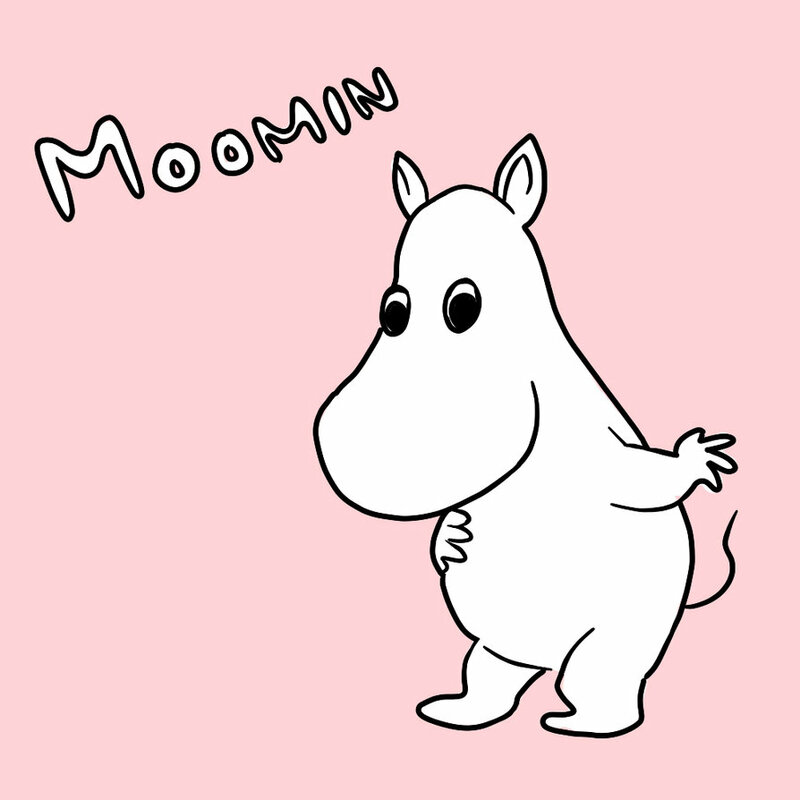 However, she can be insecure, overly concerned with her appearance and with getting Moomin’s attention. The adopted Little My causes chaos in the Moonmin household but she is perceptive and brings other characters down to earth with her sharp observations. Tove Jansson’s work is original and surreal. 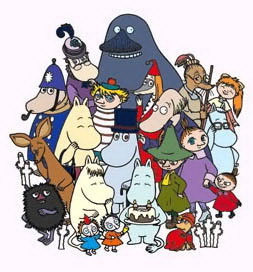 On their numerous adventures, many of the characters that The Moomin family encounters are of indeterminate species. The fearless Little My is so small she can fit in to the pocket of her half-brother Snufkin. She looks remarkably like her mother, older sister Mymble and her seventeen younger siblings. A ghost who haunts a lighthouse resembles a sausage with legs! The Moomin books teach us about the importance of family and friendship and about accepting others for their uniqueness. They value living a simple life, staying close to the beauty of nature and just being happy. The Moomins are always ready to help other characters, as everyone is important and needs a purpose. And yes, I could be hooked. Work experience student Verona is an avid reader and has always loved the stories of children’s writer, Roald Dahl. In this blog post, she shares her travel tale, when she and her son visited the Roald Dahl Museum in England. Who has seen the new movie The BFG? I haven’t yet but it’s high up on my list of things to do. When my son was little (he’s 13 now so I’m not allowed to call him little anymore) he loved reading Roald Dahl’s books. He has read every one of his children’s books. We started off reading them together and then as he got older he read them by himself. It renewed my love for his stories. We even got to visit the Roald Dahl Museum & Story Centre on a family trip to England. The Story Centre is in a town called Great Missenden and it is where Roald Dahl lived for years and wrote many of his stories. This is a picture of the outside of the Story Centre. Inside the Story Centre there is a replica of the chair that Roald Dahl sat in to write all of his books. It was here that my son got his copy of The BFG. The BFG, like many of Roald Dahl’s children’s stories is darkly comic and includes ‘gross topics’ that were often not written about. They include offbeat and imaginary characters. Roald Dahl often portrays the adults in his stories as cruel and the language he uses can border on inappropriate and this often appeals to children. You might then be wondering about the suitability of his books for your younger children. I would recommend starting with some of his lighter books such as The Enormous Crocodile or Fantastic Mr Fox and reading them together with your child but with anything, you as a parent have the best idea of what they will find amusing and what they will find too scary or dark to read. With the movie The BFG in cinemas at the moment, now is a perfect time to explore not only the book of The BFG, but also some of his other stories. TTG Library has many of his stories and they are available in books, audio books and some DVDs. The library has an old animated movie of the BFG available on DVD to borrow. Roald Dahl’s books are over 40-50 years old but they are still enormously popular today. The library has multiple copies of all his popular stories but you might need to place a reserve on the one that you want to borrow so that you don’t miss out. Come into the library to have a look at not only the collection of Roald Dahl books but others that are similar in style. Well done to the 54 children who participated in the recent Summer Reading Club, held over the summer school holidays. Tea Tree Gully Library received 70 logs and 46 reviews of books – and we are proud to say after totaling all of the figures, a grand total of 746 books were read. This high number of books read is a credit to our young readers who live in the Tea Tree Gully area. Reading is incredibly important not just for education and comprehension, but also for developing communication skills, empathy, logic & reasoning and a greater ability to focus and concentration. If you need greater convincing, check out more reasons for why children should read here here and here. Some of the children who read lots of books or submitted some stand-out book reviews were invited with their families to the Pegi Williams Bookshop in Walkerville to purchase new books for the children’s collection. They also received a Pegi Williams Book Shop voucher to buy a book for themselves. We had so much fun selecting new books together. Look out for the new books on our shelves soon. And keep reading!